Welcome and thank you for your interest in the Pediatric Residency Program at Peyton Manning Children’s Hospital at St. Vincent. Our system has a 120-year history of providing postgraduate medical education and training physicians to provide health care that is safe, effective, and available to all. Our hospital is part of Ascension Health, the largest Catholic Healthcare network in the country. As a small program, we focus on the education of each individual resident in an environment that fosters teamwork and relationships. We value our residents and the role they play on the healthcare team. Our training environment cultivates quality patient care, academic excellence, and a successful work-life balance. We hope that you find the information here useful in your search for a pediatric residency. Please don’t hesitate to contact us should you have further questions about our program. Our pediatric residency program will provide an opportunity to care for children referred to St. Vincent for tertiary care from all areas of Indiana as well as a rich ambulatory experience in our pediatric outpatient clinic. In addition to the foundation of required training rotations, our program actively tailors the curriculum to the specific pathway of the individual. With personalized mentorship and guidance, each resident can infuse elective opportunities in subspecialties and research into their personalized curriculum to best fit their needs and goals. These include high acuity learning experiences such as patients on ECMO and transplant services. Each resident will have direct interaction with faculty from all fields of pediatrics as well as first opportunity to perform procedures. Our residents have participated in the treatment plans for a multitude of unusual cases. Noon Conference – Lectures are given by pediatricians and pediatric subspecialists to provide a foundation of knowledge necessary in pediatrics. Morbidity and Mortality (M&M) – a Multidisciplinary conference aimed at improving quality of care and patient safety through the discussion of cases with unexpected outcomes. NICU Lectures- Discussion of various education topics led by neonatologists. Monthly Journal Club – Resident led sessions used to critically analyze data and implement evidence-based medicine into daily clinical practice. Global Health Opportunity – Global health dinners and lecture series discussing many different topics that are hosted by faculty and residents. Abroad medical mission opportunities are available in Ecuador, the Dominican Republic and Guatemala. Residents can choose this as an elective during their second or third year. Research- One of the largest community-hospital based research departments in the country. All residents perform a case report and QI project. Residents as Teachers – Leadership workshop designed for learning qualities of becoming a skilled teacher. Residents supervise medical students and interns with a goal to foster skills such as implementing various teaching/learning styles, providing effective feedback, dealing with difficult learners, and incorporating evidence-based medicine. Simulation Center – Resident led, monthly simulation codes in state of the art facility. Allows for space to practice and master skills such as bag valve mask ventilation, intubation, IO access, lumbar puncture, etc. The principal sites for the pediatric residency training are all located on the main St. Vincent Indianapolis Campus. Peyton Manning Children's Hospital at St. Vincent. Peyton Manning Children’s Hospital (PMCH) is a free-standing children’s hospital adjoined to St. Vincent Hospital Indianapolis. This facility is dedicated to serving the unique needs of children throughout the state of Indiana. As a full-service children’s hospital, PMCH offers many pediatric subspecialties and services including ECMO and renal transplant. The hospital contains 40 general pediatric beds, 8 observation beds, and 23 pediatric intensive care beds. 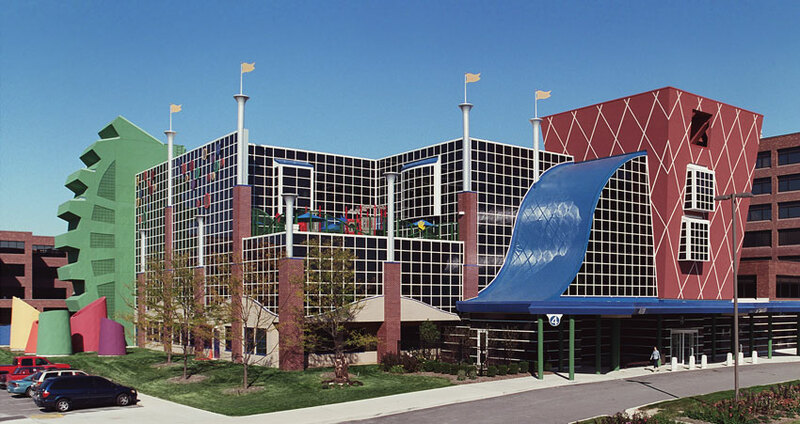 Peyton Manning Children’s Hospital is also home to the Hilbert Pediatric Emergency Department consisting of 17 beds. This hospital is dedicated to the care of women and their newborn babies. The facility is home to the Peyton Manning Children’s Hospital Neonatal Intensive Care Unit. It is the largest Level 4 NICU in the state of Indiana with 97 neonatal critical care beds. Pediatric residents complete a NICU rotation each year of their training. Opened in 2007, this building is the home of the Pediatric Primary Care Clinic serving indigent, uninsured, and underinsured patients in central Indiana. The clinic sees an average of 500 patients per week. Pediatric residents complete an outpatient clinic rotation each year of their training. Whether you enjoy the outdoor life, sports, shopping, dining, arts, or entertainment, Indianapolis is a great place to call home! As the 15th largest city in the United States, Indianapolis offers world-class attractions and culture. Find out more about our city known for fast cars and Hoosier hospitality. Vibrant fine arts community featuring the Indianapolis Symphony Orchestra and multiple theatres with performances ranging from Broadway shows to standup comedy. Indianapolis Zoo ranked in America's "10 Best Zoos"
Multiple neighborhoods with unique charm, local foodie restaurants, and one-of-a-kind bars, including Broad Ripple, Massachusetts Ave, and Fountain Square. Carmel, a suburb just one mile north of the hospital, has been ranked the Best Place to Live in America. “The program at Peyton Manning Children's hospital is a hidden gem. For being a small, community based program it offers the experience and variety of practicing in a large metropolitan center. Learning that the program focuses on creating solid pediatricians at its core with ample flexibility and opportunity for developing subspecialty interests drew me to the program. "The biggest thing I took away from my time at Peyton Manning Children’s Hospital was an ability to think critically. As medicine becomes more protocolized, this skill that is becoming harder to learn. However, the ability to think through cases is paramount to your ability to perform well in the face of uncertainty. With the framework to patient care you learn at PMCH, you will feel prepared to tackle any case." "The pediatric residency at Peyton Manning Children’s Hospital provided excellent and personalized training. There is ample opportunity for hands-on learning with procedural opportunities in multiple settings and monthly pediatric simulations. The tertiary care center with multiple subspecialties allowed for exposure to common as well as rare conditions. The physicians, nurses, and support staff felt like family. I was easily able to identify mentors in my area of interest early in my residency and subsequently complete a research project with one of them, ultimately helping in my career path towards pediatric endocrinology fellowship. From being comfortable managing common inpatient and outpatient pediatric conditions, to helping manage a patient on ECMO or intubating neonates, PMCH provides a broad, but customizable pediatric experience. The formal teaching provided through scheduled conferences and the informal teaching on rounds gave me a solid pediatric foundation and helped me pass my pediatric board exam." "I chose to work at Peyton Manning Children's Hospital because I felt that the program provided a unique opportunity that I did not find in any other program I visited. As a smaller program at a hospital without fellows, it allows for direct interaction and learning from attendings and subspecialists but provides these benefits without sacrificing the opportunity to learn from high acuity patients." Strong sense of mission, purpose, and teamwork. Each year, residents state that a significant strength of our program is the people they work alongside. A diverse, family atmosphere among residents and faculty makes for an enjoyable work environment with feelings of camaraderie and solidarity between team members. Residents feel valued as individuals through transparency, inclusiveness, and trust. Our program recognizes the importance of the emotional and mental well-being of our residents. To reduce physician burnout, we have established a culture that supports personal health and wellness. Resident wellness committee – A resident-led committee, focused on providing support and resources for their colleagues, plans in-house relaxation activities and social gatherings outside of work to promote compassion, self-care, and individual growth. Self-care Debriefing Sessions – A specific initiative of the wellness program is helping residents learn how to cope with death and emotionally challenging cases. Through regular sessions, residents and attendings confidentially share experiences, express emotions, and learn various grieving techniques to facilitate the coping process and encourage overall wellness. Hospital Employee Assistance Program (EAP) – This program offers a wealth of information, support, and online resources at no cost. Caring and empathetic counselors are available to residents and their families. Fitness Center – Residents have 24-hour access to the hospital fitness center. The hospital offers a comprehensive shared premium insurance package including health, vision, dental, accidental death and dismemberment, and legal services. Disability, basic term life, and malpractice insurance are provided at no cost. Residents may contribute to retirement plans which include a hospital matching program. Vacation time – Residents receive a generous vacation package including personal days and holiday time. Resident Choice Spending Account – Funds that can be used for the reimbursement of expenses associated with education which may include books, professional membership fees, computers, phones, educational software, conferences, and other expenses approved by the program director. Why I chose St. Vincent: I loved the small program and the family-like feel. Everyone is super nice and helpful. Why I chose St. Vincent: The residents and staff really stuck out to me on my interview day. They were very welcoming and I felt like I fit in. I also knew that I wanted a smaller program where attendings knew your name and residents knew each other and St. Vincent allowed that. Why I chose St. Vincent: I chose St. Vincent first and foremost for the people. We really do become a family on day one. The support, professional and personal, is never-ending and the opportunity to work so closely with attendings makes for an invaluable academic experience. Why I chose St. Vincent: I did a rotation during my 4th year and I felt like they really cared about me, my education, and my experience. Why I chose St. Vincent: I wanted a free-standing children's hospital with a small feel, but a diverse patient population. We love Indy so it worked out great. Why I chose St. Vincent: Peyton Manning Children’s Hospital was my top choice of residency because it has the best of both worlds. As a small program, it provides more opportunities for one-on-one instruction and supervision from the attending physicians, but unlike many other small residency programs in the Midwest, it also provides subspecialties and a variety of pathology. Why I chose St. Vincent: I had a lot of experience working with the residents and attendings at Peyton Manning Children's and in the NICU and I could not have been more pleased with my time spent at St. Vincent. I felt so much support and was surrounded by people who truly enjoy their job. The attendings consistently made education a priority, I wanted to continue to learn from them. Why I chose St. Vincent: The support you get as a resident is unwavering, and you get a great educational experience of working one-on-one with attendings. However, my favorite part hands down is the people, both residents and staff - they made Peyton Manning Children’s Hospital a place I wanted to be. Why I chose St. Vincent: I wanted a residency program where I’d be surrounded by compassionate doctors who cared about me and my education. The Peyton Manning Children’s Hospital Residency Program is overflowing with opportunities, support, and encouragement. We truly are a family and I couldn’t be happier with being here. Why I Chose St. Vincent: I chose to pursue my residency at Peyton Manning Children’s Hospital to train in a smaller program that focused on resident education as a priority. Being from the Midwest originally, Indianapolis feels like a new home away from home. Why I chose St. Vincent: I chose Peyton Manning Children’s because of the close-knit environment of the residents as well as the impressive size of the hospital and the diversity of its patients. The attending physicians genuinely want to get to know the residents and help us achieve our goals! Why I chose St. Vincent: I chose to join the Pediatric Residency at PMCH because of its family feel and the commitment to education by the faculty and staff. I wanted to come to a place where I knew that not only my education but also my personal well-being was put as a top priority. To me, St. Vincent and the PMCH family felt like home. Each year, we accept residents through the National Resident Matching Program. Prospective residents are interviewed and selected by a committee of faculty and residents from each training level. Applications must be submitted through the Electronic Residency Application System (ERAS). As part of your application, we ask that you include, a personal statement, curriculum vitae, photograph, medical school transcript, dean’s letter, 3 letters of recommendation, and USMLE or COMLEX scores. We currently sponsor J1 visas. Applications will be accepted no later than December 1st. Please contact our program coordinator, Janet Hedlund - Jhedl001@ascension.org with further questions.